There are several ways to beat the market, and investing in small cap stocks has historically been one of them. We like to improve the odds of beating the market further by examining what famous hedge fund operators such as Jeff Ubben, George Soros and Carl Icahn think. Those hedge fund operators make billions of dollars each year by hiring the best and the brightest to do research on stocks, including small cap stocks that big brokerage houses simply don’t cover. Because of Carl Icahn and other elite funds’ exemplary historical records, we pay attention to their small cap picks. In this article, we use hedge fund filing data to analyze Lennox International Inc. (NYSE:LII). Is Lennox International Inc. (NYSE:LII) worth your attention right now? Prominent investors are betting on the stock. The number of bullish hedge fund bets improved by 1 recently. 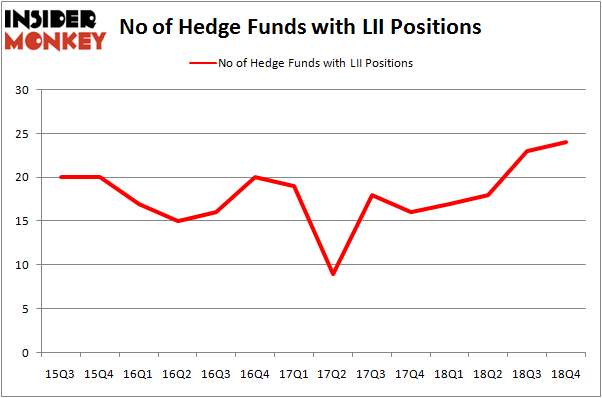 Our calculations also showed that LII isn’t among the 30 most popular stocks among hedge funds. If you’d ask most market participants, hedge funds are seen as worthless, old financial vehicles of the past. While there are over 8000 funds with their doors open today, We look at the upper echelon of this club, approximately 750 funds. 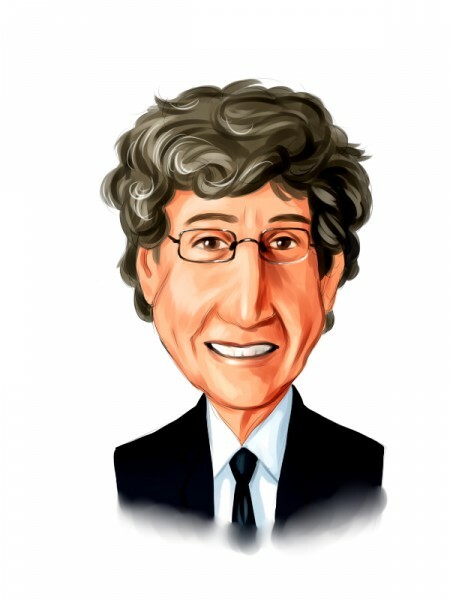 These hedge fund managers handle the majority of the smart money’s total capital, and by monitoring their inimitable picks, Insider Monkey has identified a few investment strategies that have historically outperformed the broader indices. Insider Monkey’s flagship hedge fund strategy outstripped the S&P 500 index by nearly 5 percentage points per year since its inception in May 2014 through early November 2018. We were able to generate large returns even by identifying short candidates. Our portfolio of short stocks lost 27.5% since February 2017 (through March 12th) even though the market was up nearly 25% during the same period. We just shared a list of 6 short targets in our latest quarterly update and they are already down an average of 6% in less than a month. Let’s take a look at the recent hedge fund action regarding Lennox International Inc. (NYSE:LII). What does the smart money think about Lennox International Inc. (NYSE:LII)? At the end of the fourth quarter, a total of 24 of the hedge funds tracked by Insider Monkey were long this stock, a change of 4% from the second quarter of 2018. By comparison, 17 hedge funds held shares or bullish call options in LII a year ago. So, let’s see which hedge funds were among the top holders of the stock and which hedge funds were making big moves. According to Insider Monkey’s hedge fund database, Impax Asset Management, managed by Ian Simm, holds the number one position in Lennox International Inc. (NYSE:LII). Impax Asset Management has a $61.7 million position in the stock, comprising 1% of its 13F portfolio. Sitting at the No. 2 spot is Millennium Management, managed by Israel Englander, which holds a $43.4 million position; the fund has 0.1% of its 13F portfolio invested in the stock. Some other peers with similar optimism include Phill Gross and Robert Atchinson’s Adage Capital Management, Jim Simons’s Renaissance Technologies and Bain Capital’s Brookside Capital. Now, key hedge funds have been driving this bullishness. Renaissance Technologies, managed by Jim Simons, established the largest position in Lennox International Inc. (NYSE:LII). Renaissance Technologies had $24.1 million invested in the company at the end of the quarter. Bruce Kovner’s Caxton Associates LP also made a $1.6 million investment in the stock during the quarter. The other funds with brand new LII positions are Matthew Tewksbury’s Stevens Capital Management, Joel Greenblatt’s Gotham Asset Management, and Richard Driehaus’s Driehaus Capital. Let’s go over hedge fund activity in other stocks similar to Lennox International Inc. (NYSE:LII). These stocks are NVR, Inc. (NYSE:NVR), Reinsurance Group of America Inc (NYSE:RGA), Shaw Communications Inc (NYSE:SJR), and AXA Equitable Holdings, Inc. (NYSE:EQH). This group of stocks’ market values resemble LII’s market value. As you can see these stocks had an average of 24.5 hedge funds with bullish positions and the average amount invested in these stocks was $569 million. That figure was $213 million in LII’s case. NVR, Inc. (NYSE:NVR) is the most popular stock in this table. On the other hand Shaw Communications Inc (NYSE:SJR) is the least popular one with only 14 bullish hedge fund positions. Lennox International Inc. (NYSE:LII) is not the least popular stock in this group but hedge fund interest is still below average. This is a slightly negative signal and we’d rather spend our time researching stocks that hedge funds are piling on. Our calculations showed that top 15 most popular stocks among hedge funds returned 19.7% through March 15th and outperformed the S&P 500 ETF (SPY) by 6.6 percentage points. Hedge funds were also right about betting on LII, though not to the same extent, as the stock returned 14.2% and outperformed the market as well.